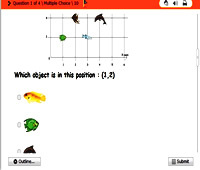 Math Fun Games for Children is an excellent mathematics website for parents and teachers who wish to help their kds get better math practice. The materials can be used at school or at home. Jigsaw puzzle games help children to learn shapes through playing on an interactive blackboard.